There’s no question that electric and hydrogen vehicles are becoming more common, and many more are under development. Automakers are racing to bring these vehicles to market, and they’re telling us much more than usual about their plans. Competition is fierce to bring you the longest range, the quickest acceleration, and the highest efficiency at an affordable price. To keep you up to speed, here are ten new or upcoming battery and hydrogen-powered electric vehicles. Some are available at dealers now, while others are expected to hit the market within the next year. Porsche has been teasing the world with glimpses of its all-electric Taycan (Tie-con) sports car, due in America for the 2020 model year. The rumor mill is in full swing, but it looks like the Taycan will be a lot like the Mission E concept that Porsche displayed a few years ago. 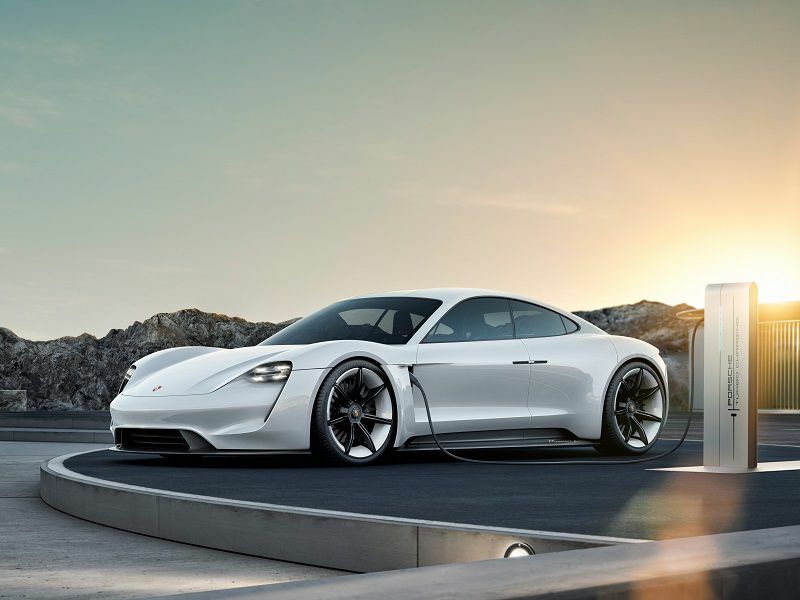 Porsche is currently taking deposits on their upcoming EV, and pricing is projected to be in the $70,000 range, which isn’t bad at all for any Porsche. It’s been reported that the Taycan will be offered in three performance ranges, with about 400, 530, and 670 horsepower respectively. All-wheel-drive is to be achieved by placing electric motors at the front and back of the car, and enough battery capacity to go well over 200 miles on a charge. Nissan broke through the mass market barrier with the original Leaf electric vehicle back in 2011, but this year there’s a new Leaf Plus on the market. 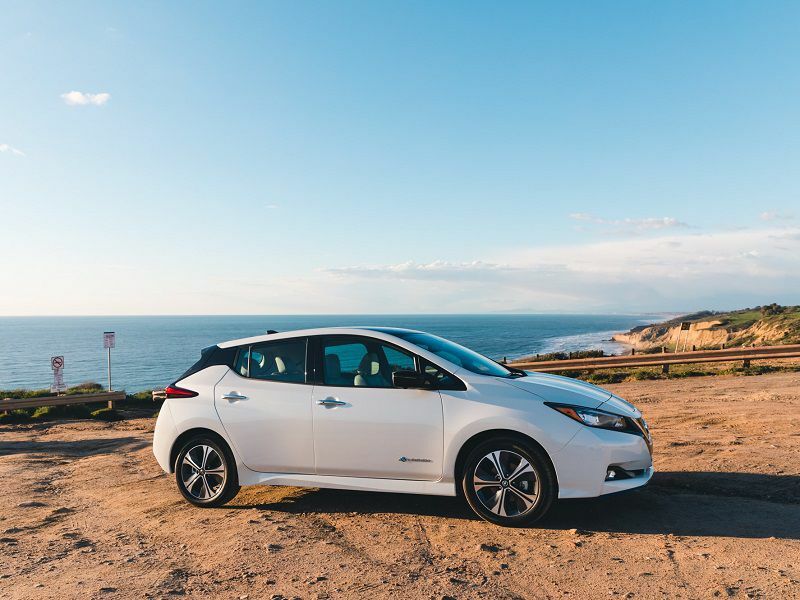 The 2019 Nissan Leaf Plus carries a larger 62 kWh battery pack that boosts the range of the Leaf Plus up to 226 miles, compared with 150 miles on a standard Leaf. 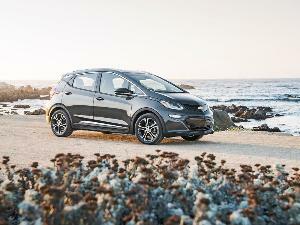 The Leaf Plus also gets a boost up to 214 horsepower. One of the great features of the Nissan Leaf is the ability to drive using only the accelerator pedal. When you want to stop, just lift off the pedal and the Leaf comes to a smooth, controlled halt. Of course you can still use the brake pedal if you want, but every time you use single-pedal driving, you’re regenerating electricity and extending your range. The 2019 Leaf Plus starts at $36,550. 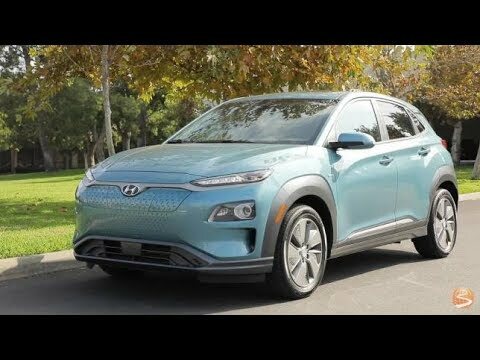 The 2019 Hyundai Nexo is brand new on the market this year. According to Hyundai, the Nexo is the world’s only hydrogen fuel cell SUV. It’s a compact crossover design with four doors and a hatch. Hyundai states that the range is up to 380 miles on a tank of hydrogen. That’s enough range to get from Los Angeles to San Francisco, which is good because those are the two main areas where hydrogen stations are currently available. The Nexo retails for $58,300, but it comes with up to $13,000 worth of credits towards purchasing hydrogen fuel. Driving the Nexo also gets you access to California’s High Occupancy Vehicle (HOV) lanes. The interior looks like something from a starship, right up to the super-large 12.3-inch infotainment screen. The Hyundai NEXO is a vehicle you’ll have to see to believe. 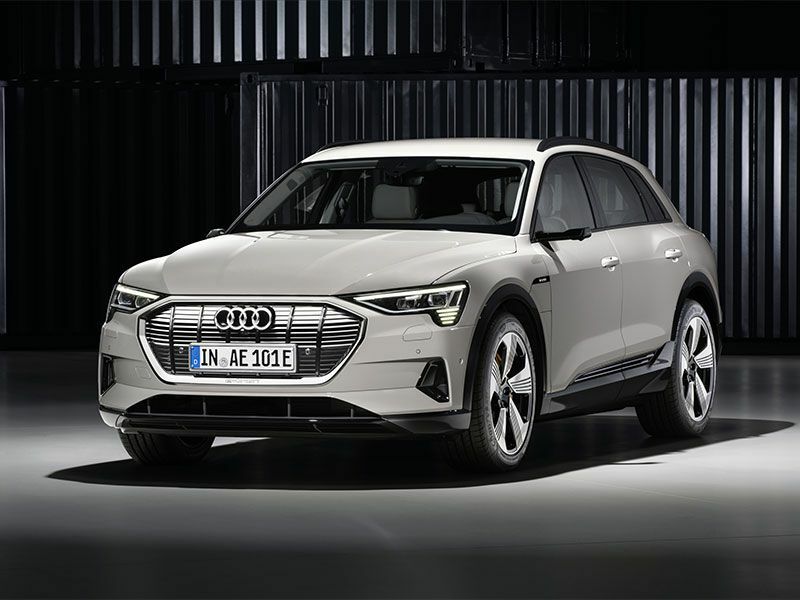 The 2019 Audi e-tron is the brand’s very first all-electric vehicle. This luxury crossover is bigger than a compact, but smaller than a mid-size, so it’s a great choice for families. Audi has not yet released range estimates, but the e-tron is equipped with a 95 kWh battery, so it should be good for well over 200 miles on a charge. The e-tron is very much an Audi, however, and will accelerate from 0-60 in 5.5 seconds. Audi built in the ability to deliver a big boost of power, at least momentarily, giving the e-tron up to 402 horsepower. 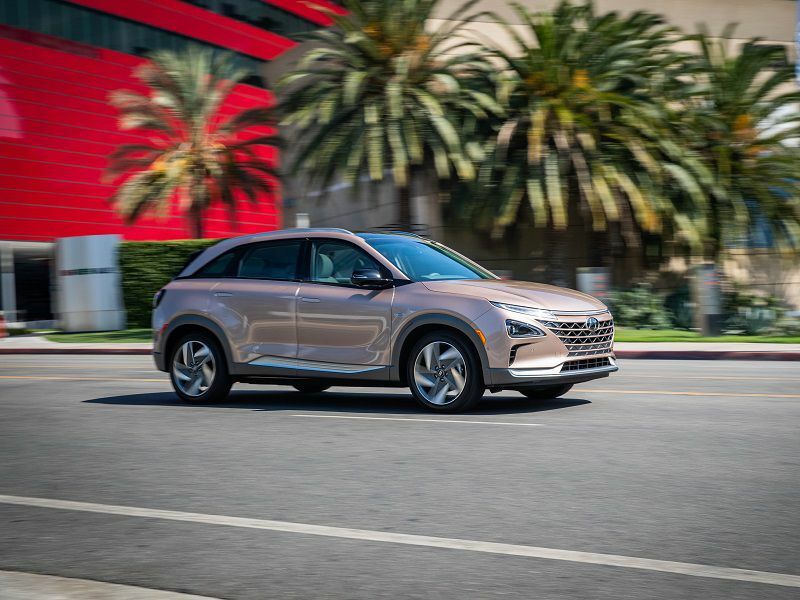 The e-tron provides AWD by placing twin electric motors at the front and rear of the SUV, and can tow up to 4,000 pound trailers. The 2019 Audi e-tron retails starting at $74,800. 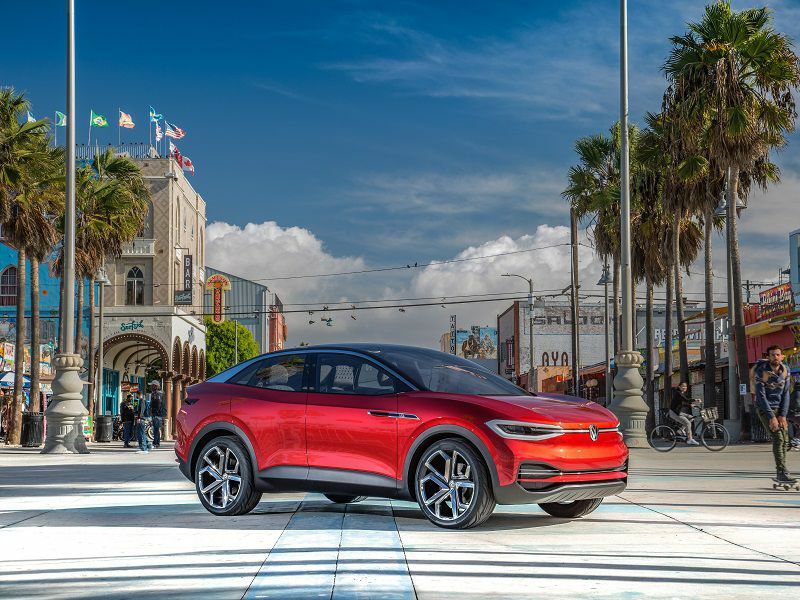 One of the most highly anticipated upcoming electrics is Volkswagen’s I.D. Crozz, because it’s part of a whole family of vehicles to be built on an entirely new all-electric chassis platform. The MEB modular chassis places the batteries in the vehicle floor and allows for front-wheel, rear-wheel, or all-wheel-drive. All I.D. 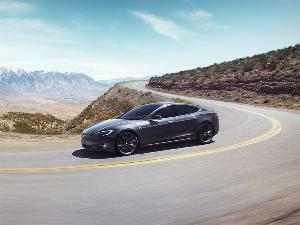 vehicles are expected to offer more than 300 miles of range. Volkswagen has announced that the I.D. Crozz compact crossover suv will be the first new vehicle built on the platform, but a larger sedan, a hatchback, and a retro-looking electric version of the classic VW Microbus. Volkswagen has retrofitted an entire factory in Germany to produce the I.D. series, and they expect to produce more than 300,000 electric vehicles per year. One of the best-looking electric vehicles to arrive this year is the all-new 2019 Hyundai Kona EV. 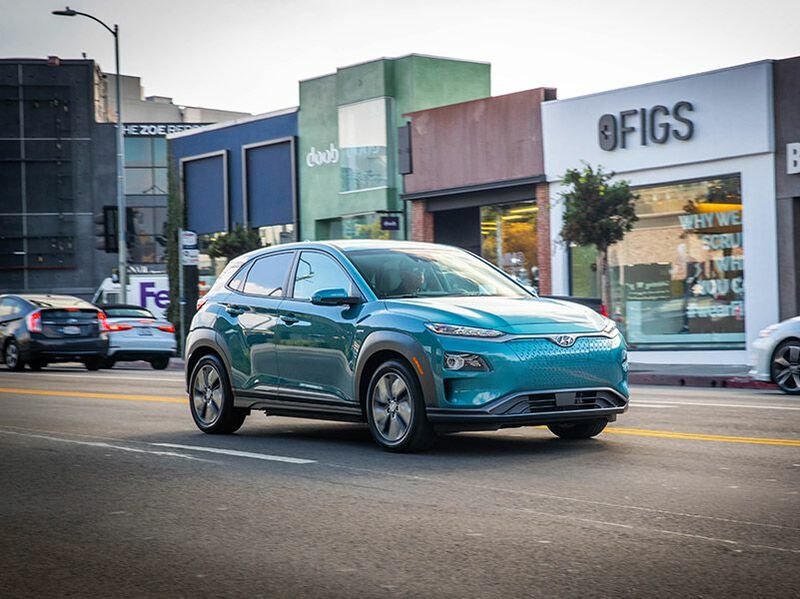 The Kona is a compact four-door crossover suv that can travel up to 258 miles on a full charge, making it one of the most generally useful EVs on the market. Even better, the new Kona retails for $36,450, placing it within budget for many families. The Kona also offers excellent front-wheel-drive performance, with 201 horsepower and 291 pound-feet of torque from the electric motor. Unlike some other EVs, you can’t get all-wheel-drive on the Kona, at least not yet. But you do get safety features like blind spot monitoring and forward collision warning included as standard equipment, even on the base trim. Honda is hitting all fronts with its Clarity line of alternative fuel vehicles. 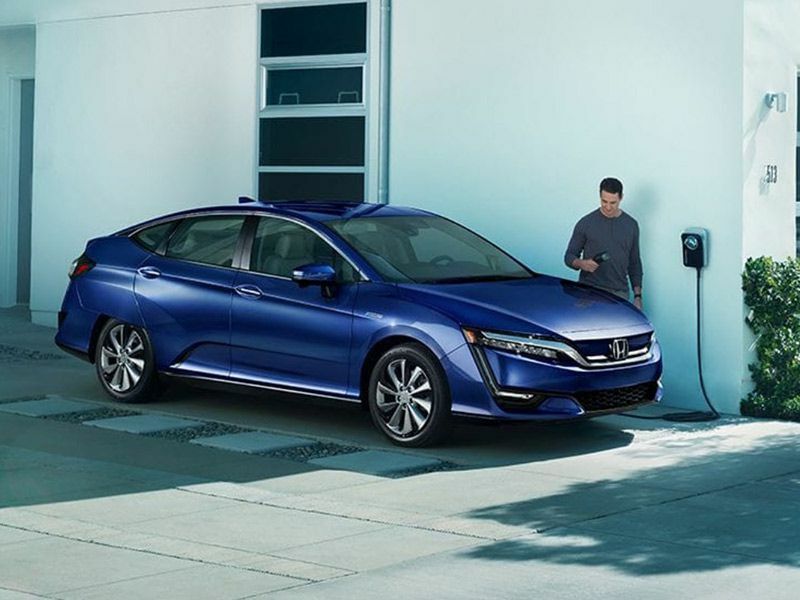 The 2019 Honda Clarity Electric follows the introduction of the plug-in hybrid version and the hydrogen fuel cell Clarity that is sold only in California. The basic Clarity formula is a four-door hatchback, regardless of its driveline. Admittedly, the Clarity is not the sportiest or most elegant looking EV on the market, but the design allows for ample utility. Clarity provides a generous 14.3 cubic feet of cargo space, and comfortable seating for five adults. The technology in the cabin is another reason to choose Clarity. Honda went all-out to deliver the latest in features, including an 8-inch touchscreen display supporting Android Auto and Apple CarPlay. 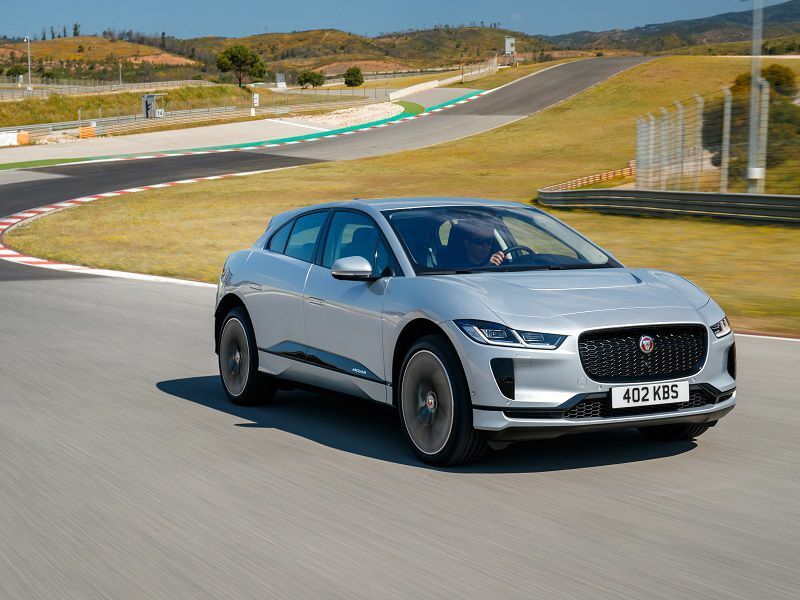 The 2019 Jaguar I-PACE takes luxury EVs to the next level. You can see the Jaguar brand identity in the exterior design, but the I-PACE is a brand new platform, designed to be an EV. 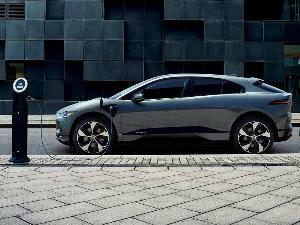 The I-PACE is powered by twin electric motors driving the front and rear wheels. The I-PACE offers 234 miles of range and legendary performance with 394 horsepower and 512 pound-feet of torque. The I-PACE has a breathtaking 0-60 time of 4.5 seconds. The I-PACE cabin is a technology marvel right out of science fiction. It features a 10-inch screen high up on the dash for navigation and infotainment, and a smaller screen lower down for climate and vehicle controls. The I-PACE seats are a new thin-shell design upholstered in red leather, and they’re both heated and ventilated. 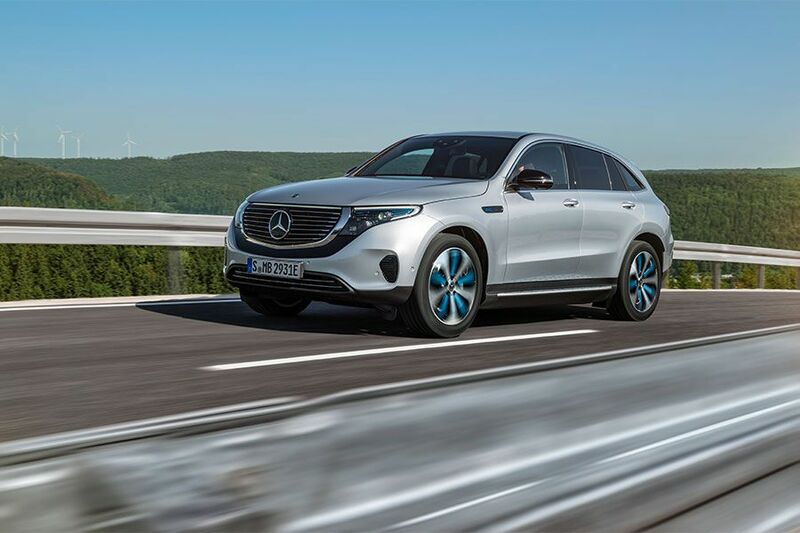 Mercedes-Benz is also producing a new all-electric SUV. 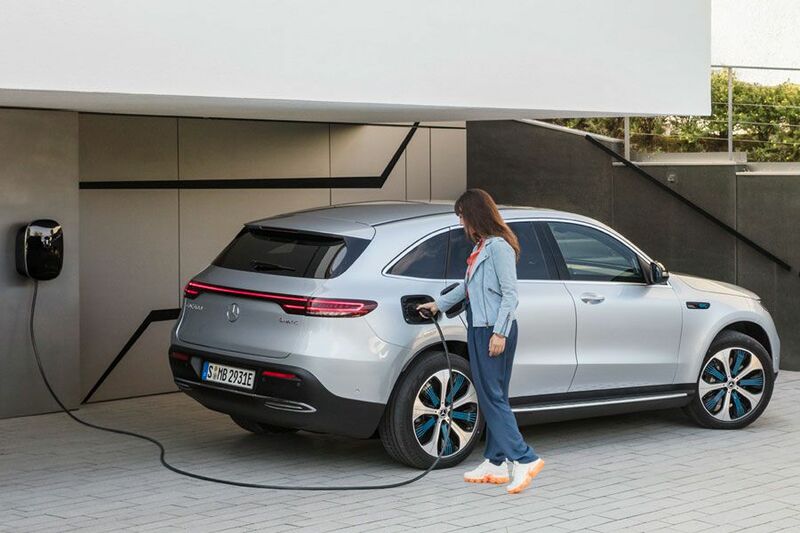 The 2019 Mercedes-Benz EQC is the first of 22 different electric vehicles that Mercedes plans to market around the world. The twin electric motors mounted front and back in the EQC produce 402 combined horsepower and 564 pound-feet of torque. Together the motors give the SUV all-wheel-drive and the ablity to get to 60 MPH in just 4.9 seconds. The EQC comes with a 10.25-inch multimedia display with Mercedes’ latest MBUX user experience interface. This is an artificial intelligence system that is among the most advanced in the industry. Mercedes has not yet released a range estimate or pricing on the EQC. 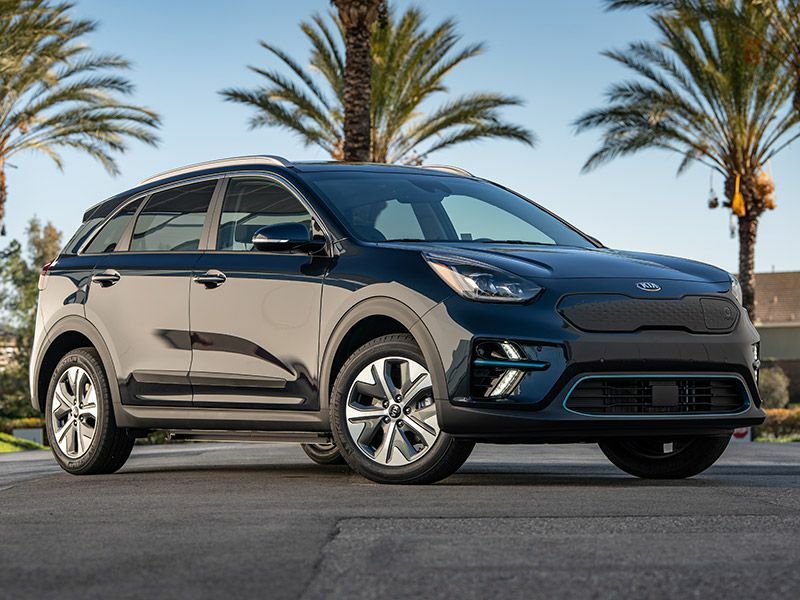 The all-new 2019 Kia Niro Electric is compact four-door hatchback crossover, designed to be a useful and convenient urban or suburban vehicle. The Niro will travel up to 240 miles on a full charge, making it more useful for inter-city driving as well as daily commuting. Performance is also exciting with 201 horsepower and 291 pound-feet of torque. Unlike some crossover EVs, the Niro Electric is a front-wheel-drive vehicle only. The Niro is good looking on the outside, and offers a technology-inspired interior design that feature blue accents and all technical conveniences. 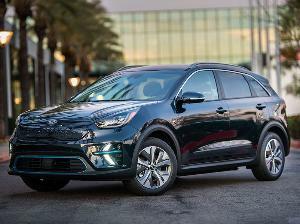 The Niro Electric is expected in dealerships shortly.